Considered by many to be the most beautiful of CapeNature’s protected areas, Kogelberg Nature Reserve earns that reputation largely to the fact that it occupies an area with minimal human interference. The reserve presents perhaps the finest example of mountain fynbos in the Western Cape and is a world-renowned World Heritage Site. We love adventure and decided that we will start off our 2018 hiking plans with a short trip, an early morning start and some cameras. Using 5d Mark IV, we set out to capture some high-resolution video and stills of the landscape and wildlife. Filmed in C-Log using only L Series optics, we were happy with our bounty! The whole area is inspirational and one of more than 400 biosphere reserves worldwide. 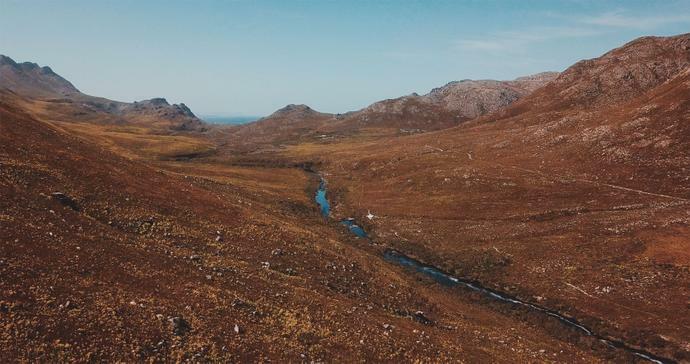 Kogelberg was South Africa’s first registered biosphere reserve and it encompasses the entire coastal area from Gordon’s Bay to the Bot River vlei, and inland to Grabouw and the Groenland Mountain. It was a good spring weekend in the Western Cape and we knew that we would be able to capture some fantastic aerial footage of the scenic valleys and we weren’t disappointed!